I was recently selected by Influenster to receive a Lancer VoxBox with the brand's game-changing 3-step skincare kit called The Method. The Lancer Method is a powerful anti-aging skincare protocol developed by Beverly Hills dermatologist Dr. Howard Lancer. The Lancer Method is based on a biological principle of the skin’s natural regenerative cycle. Dr. Lancer devised a unique system that supports this process through manual exfoliation. The three steps of The Lancer Method are supposed to dramatically improve the appearance of fine lines, texture, discoloration, and pore size. I have always been curious about the Lancer method since it is a favorite among celebrities and I was excited to try it out for myself. The Lancer Method begins with The Method: Polish. This daily polish is a skin resurfacing treatment formulated for a two-pronged approach to exfoliation. It is formulated with pure minerals and pumpkin and pomegranate enzymes to gently and effectively remove surface debris and dull, dry surface cells. A warming element and lavender scent make it a luxurious daily ritual to use. A little goes a long way with the Polish. I usually use a dime sized dot of product for my face. The granules in the Polish are very fine and the light scent is relaxing. The exfoliating effect feels gentle yet effective at the same time. I'm always amazed by how smooth my face feels after using this and it works really well on skin congestion. I feel like it has gone a long way to increase my skin's radiance as well as banish blackheads and dry, peeling skin. The second step of the Lancer Method begins is The Method: Cleanse. It is a gentle light foaming cleanser that is enriched with a rice amino acid complex, moisture-rich hydrators, and skin soothing agents to removes impurities, surface dirt, and sebum for healthy and refreshed skin. It also sweeps away residual exfoliation debris to prepare skin to receive the benefits found in The Method: Nourish. Like the Polish, a little goes a long way with the Cleanse. I've used it after the Polish and it cleans my skin leaving it refreshed without any dryness or tightness. When used in combination with the Polish, my face always feels silky smooth. The Cleanse also works well on it's own as a second cleanser. The third and final step of The Lancer Method is the Nourish, a potent anti-aging moisturizer which delivers important nutrients and antioxidants to the skin while promoting a healthy glow. Nourishing avocado and olive fruit oils infuse skin with moisture and hyaluronic acid and peptides smooth and plump the skin to reduce the appearance of fine lines and wrinkles. The Nourish has a a clean, fresh scent and a lightweight, watery texture that absorbs readily with a skin balancing finish. I didn't really see any skin plumping effects but it does hydrate well and feels soothing on the skin. Because my skin is dry, I find this works better as a day cream than a night cream for me. 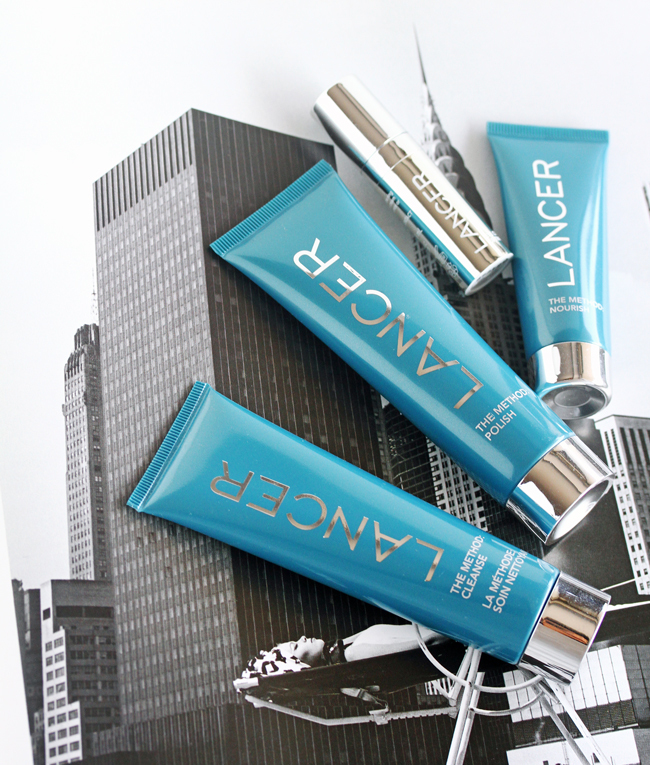 A deluxe sample of the Lancer Eye Contour Lifting Cream was also included in my box. Lancer Eye Contour Lifting Cream is a triple action eye treatment formulated with time-released hyaluronic acid and shea butter. Powered by Dr. Lancer’s proprietary Multi-Dimensional Complete Pro-Youth Complex, this cream provides a cushion of rich and lasting moisture while improving the appearance of fine lines and wrinkles, puffiness, dark circles, and loss of elasticity. Diamond Powder and minerals work to create a subtle illuminating effect. 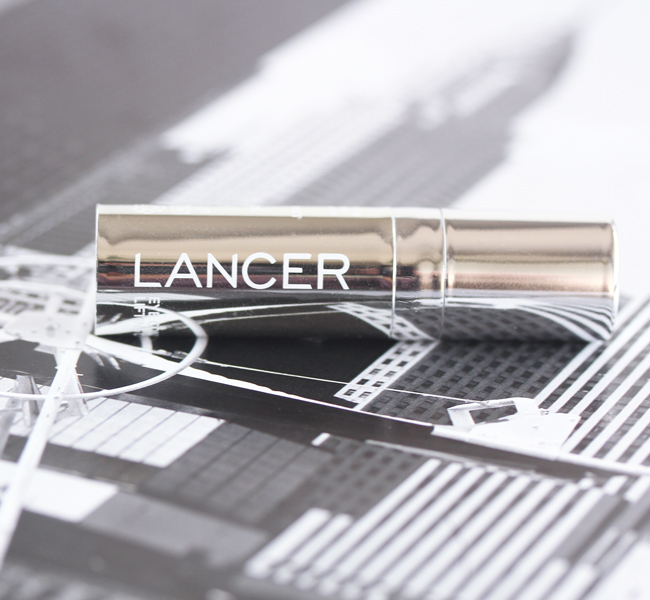 Lancer Eye Contour Lifting Cream has a really nice velvety consistency and no discernible fragrance. I didn't notice much of a difference at first but after using it for almost two weeks, my eye area has been well hydrated and looks smoother and brighter overall. Like all the other Lancer products I tried, a little goes a long way. A half pump is enough for both my eyes. It sinks in without feeling greasy and wears well under makeup. I like that it is packaged in a pump dispenser. I definitely believe in the power of exfoliation and I tend to favor chemical exfoliants but the results the Lancer Method provided have convinced me to integrate physical exfoliation back into my skincare routine on a more regular basis. I feel like it has worked even better than the home microdermabrasion device that I had been using. I was impressed with the overall gentleness of the system combined with it's efficacy. And it worked without irritating or dehydrating my dry skin at any point. Of course when any products are marketed as as suitable for all skin types, I have my husband try them out as well since his skin is oily. After a week, we saw a noticeable improvement in the clarity and texture of his face as the system seemed to work well in clearing up the congestion in his skin especially in his t-zone. There was a visible difference for both us in skin tone and pore refinement even though our skin types couldn't be more different. I only wish it didn't work so well because of these products are $$ but I can attest to the effectiveness of the Lancer Method now that I've tried it out for myself. It is a solid regimen and it's no surprise that celebrities like Victoria Beckham swear by it. I would consider continuing to use it . The Method Polish and Lancer Eye Contour Lifting Cream impressed me the most and I would definitely consider purchasing both of these after these run out. 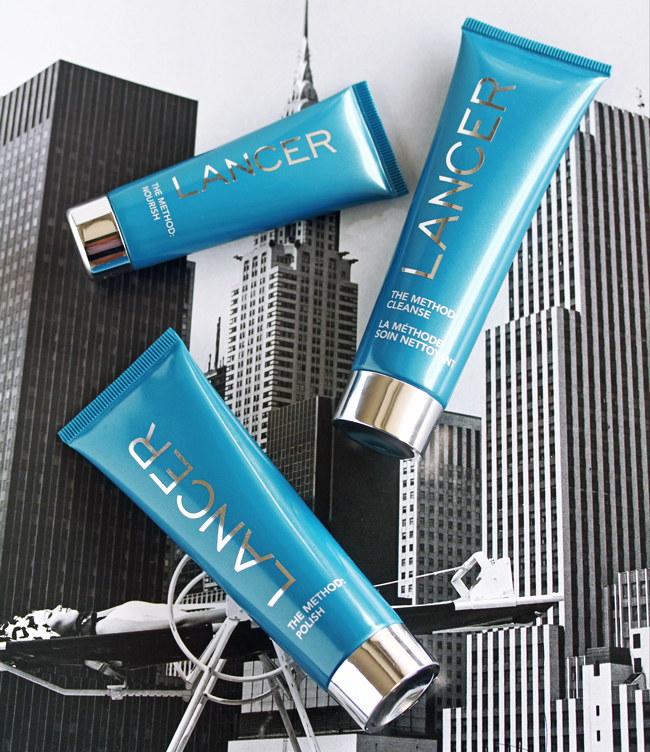 All three products that make up The Lancer Method are available in versions for normal, sensitive or blemish-prone skin. A luxury travel set with the exact products reviewed in this post is available for $135 ($150 value). These products are sold at Sephora, SkinStore and Lancer Skincare. Have you heard of the Lancer Method? 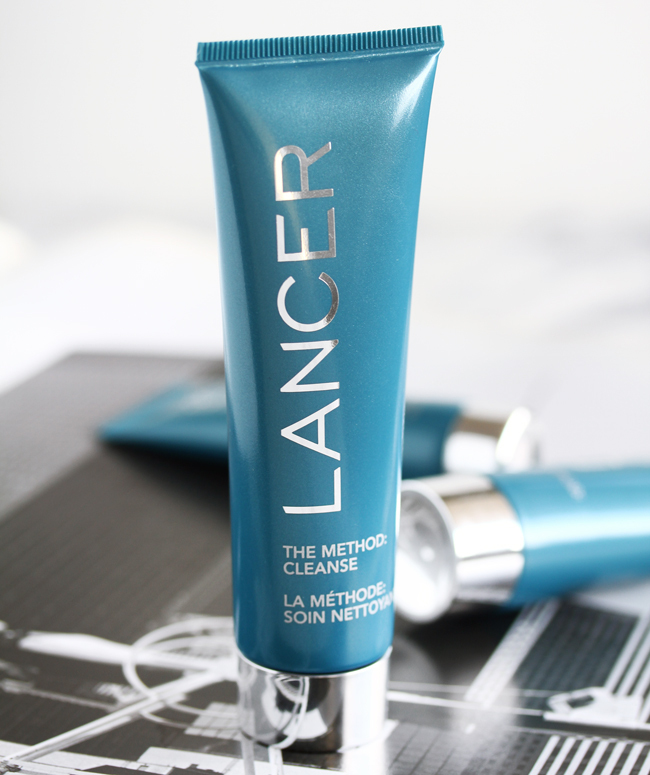 Have you tried the Lancer Method or any Lancer skincare products? I never heard about these products but it sounds like there are many great ingredients! Thanks for sharing! I didn't know this brand, but this line sounds great! First time I heard of it sounds promising great review. 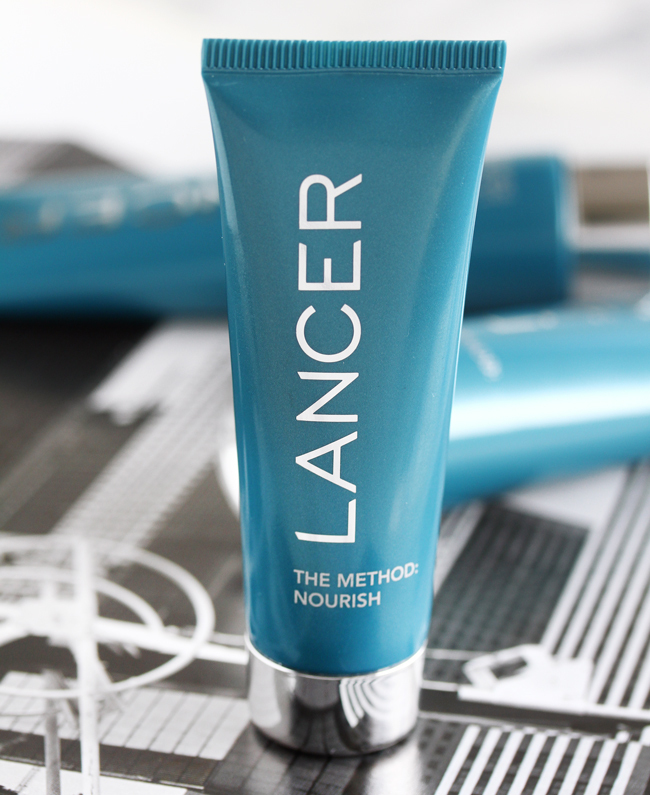 Oh Lancer Nourish...you had me at "anti-aging"....:D Sounds like a great line, chingu:) Have not heard of the Lancer brand before but this really sounds promising. And yay for the lifting cream really working! So you exfoliate before cleansing? But you do take your makeup off, don´t you? I recently started using a few very nice physical exfoliants as well that made me incorporate them in my routine again after several years of chemical only. This brand is amazing! Have a great day. never heard about this product before but it seems interesting. I hadn't heard of any of these, but after reading your review, the eye contour lifting cream sounds pretty good. Like you I have pretty much quit using physical exfoliator but this brand's Polish sounds lovely. Not familiar with this brand at all but the products especially the eye cream sounds amazing. I've heard great things about Lancer, thanks for the review. 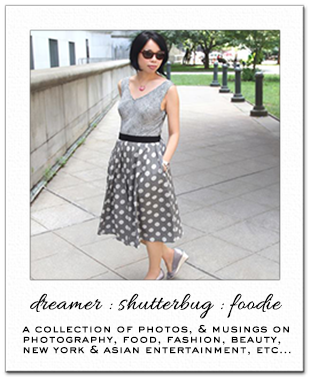 Thanks for introducing these products Rowena! These products sound really interesting, especially the cleanser! I love using a good cleanser for my face! I like this brand but have not used all of these. The polish sounds like something I'd like, as I use plant enzymes in my skincare. I love pomegranete as well, and like that you don't need very much in application. I have never heard about this brand before but it looks amazing! Rowena, I'm so glad you were selected to get these products and did this review because I've been curious about this brand. You know how funny I feel about "dr" products. This is so good to hear. Loving the results you got. I hate when pricey products work! LOL Excellent review. I've never heard of this before, but it sounds wonderful! I enjoyed reading this review, and I definitely want to try it out! Thanks for sharing! These products sound great. I haven't heard of it before but I'm loving the packaging.. It looks nice! It seems a real great line, will try it for sure. Ooh it sounds luxurious and effective. I'd consider it as well - ahh all the fab skincare can be so pricey! I must confess that this brand is new for me and I am always loooking for new brands. No I had not heard of this. It sounds pretty good if you are willing to spend the money. Not uber expensive but not cheap. But I guess it depends on your priorities. The polish step sounds really, really effective and funnily enough, targeting all of my problem areas! Dry skin and blackheads (and who would turn down extra radiance?! haha). Great review! 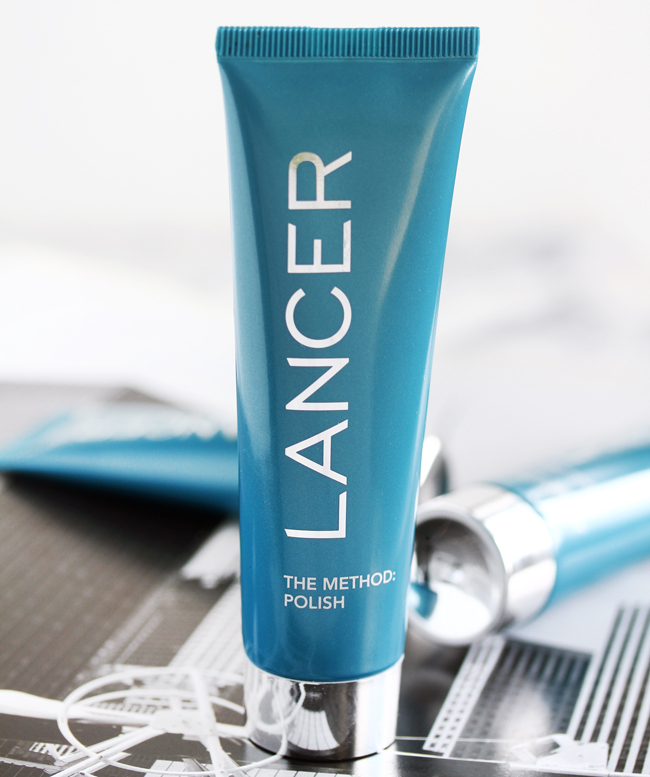 I've heard of Lancer and have always been curious about their products, and the Method Polish sounds like something I'd really enjoy using! My exfoliants are mainly chemical, but I love a great physical one for instant smooth skin! Thank you for sharing these!